Because you certainly need more chocolate on Easter. What better than including chocolate cupcakes and chocolate ganache frosting to chocolate cake pops? You know I love the most about cake pop recipes! The freedom to make and decorate them in the manner and for the occasion you desire. You can choose the flavor of your cake- orange, lemon, vanilla-strawberry or how about pumpkin? 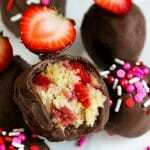 Use vibrant candy melts, almond barks, white chocolate, dark or milk chocolate to coat them! Top them with sprinkles, nuts, sparkling sugar, berries!!! Countless possibilities. Nope I am not done here! Now isn’t cake pops the best way to use left over cake? Not coz you were not going to have it no more! But because a new dessert recipe without much toil sounds so right! Okay, you get it. 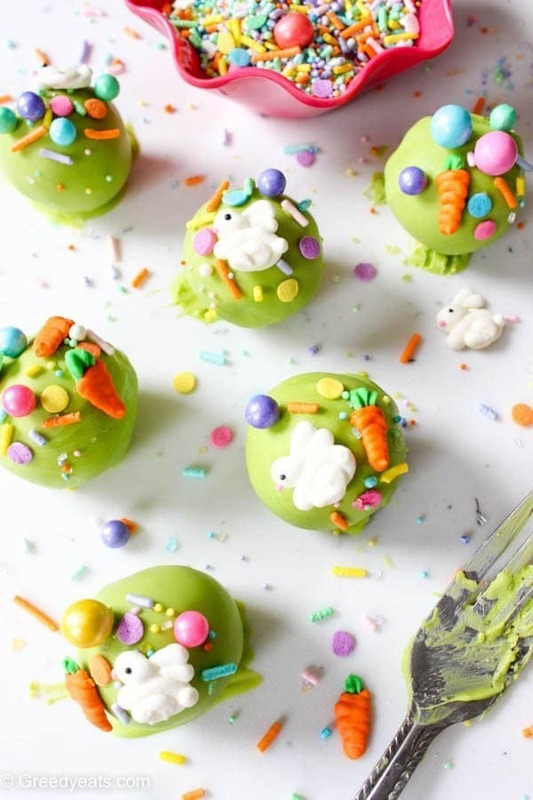 You just can’t skip making cake pops! Time to look into the steps. ONE LITTLE TRICK- While rolling cake balls the mix stick to your hands, grease your hands with a little oil first and roll them. 1. Why are my cake pops cracking? 2. What size should cake pops be? About an inch in diameter. Not too huge for sure. 3. Why do my cake pops fall off of the stick? 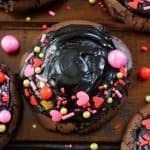 I love the tips from lovefromtheoven.com to make perfect cake pops every time! 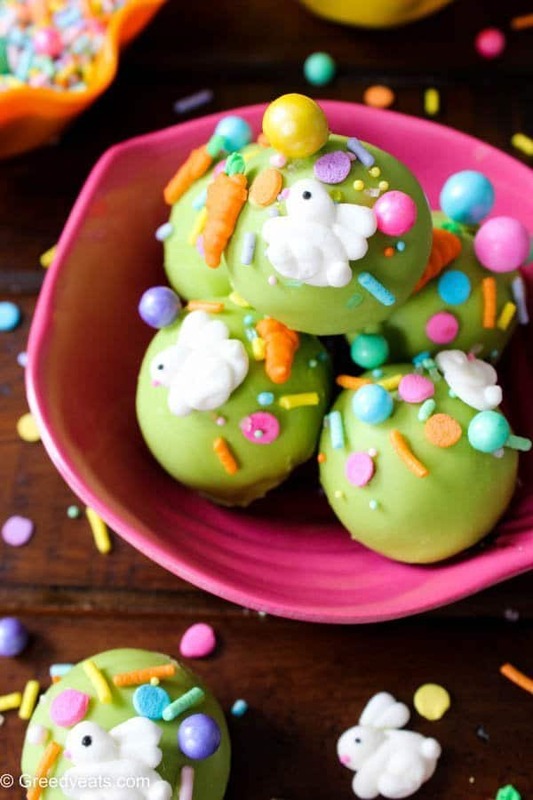 These Easter cake pops will be the talk of your party. 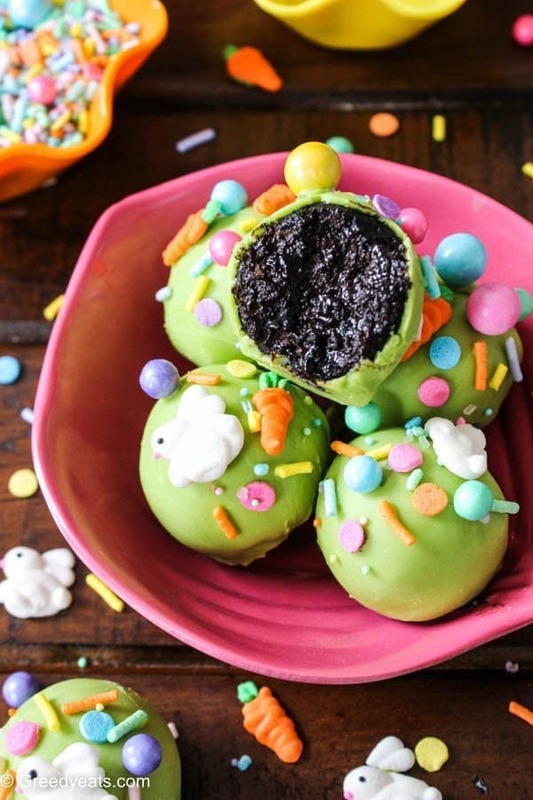 Don't let this Easter pass without giving chocolate cake pops an Easter-theme upgrade! 1. Crumble your chocolate cake (I used my small batch chocolate cupcakes and frosting) then add chilled chocolate ganache to it. I do not whip my ganache for making cake pops. Just chill it for about an hour and it works well. 2. Add chocolate ganache slowly and combine to form a mass. When the mix starts to come together and doesn't crumble when pressed together in your palm, stop adding more ganache. 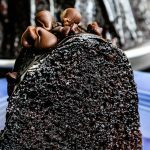 The amount of ganache depends on how moist your cake is. 3. Make 8 balls out of the cake dough and chill them well before coating. About an hour in the freezer does the trick. 4. Melt the candy melts (using double boiler method or in microwave). If melting them in microwave, melt them in 15-20 seconds increment. Stir in between to avoid seizing. 5. Dip cake pops in the chocolate using a fork. Take them out and gently tap the fork on the edge of chocolate bowl to shake off the excess chocolate. 6. Top with sprinkles quickly while the chocolate is still wet. Always remember that you need chilled cake balls for the recipe to work. If you wish to chill your cake balls in the refrigerator, allow them to cool for atleast 2 hours before coating. Make sure to let your coating come to room temperature before dipping the cake balls. Too hot coating is sure to crack when chilled balls are placed in it. 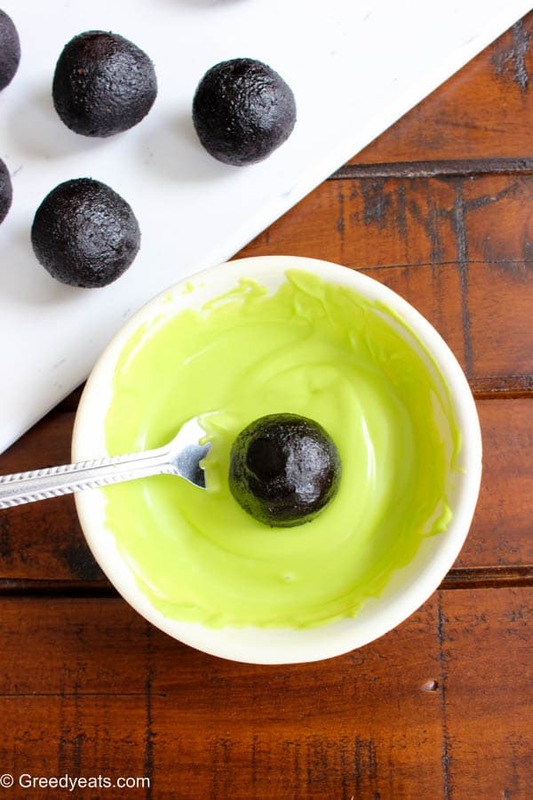 Cake balls shouldn't be extremely hard and chilled right before dipping though. Else they will expand after coating and can crack. These should just be slightly colder than room temperature, before dunking them in chocolate. 1. Cake pops stay well in the refrigerator for 7 days. 2. 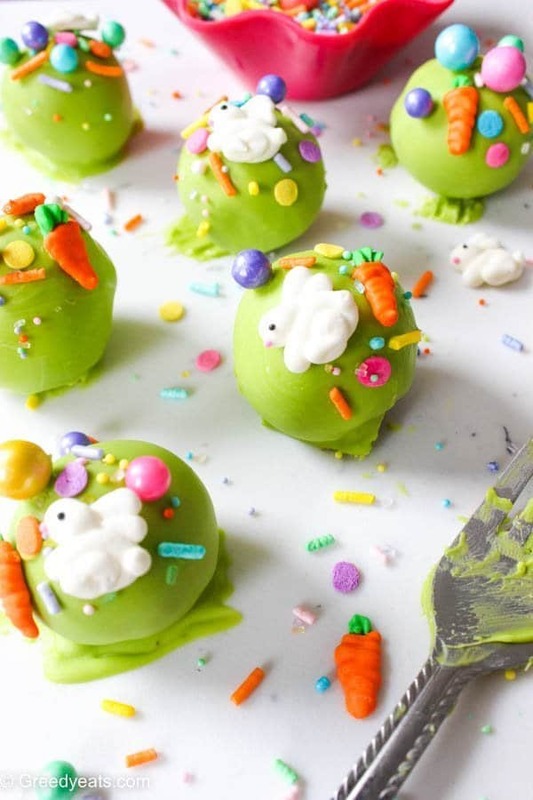 You can freeze coated cake pops for up to a month and a half! 1. 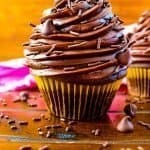 Chocolate cake/cupcakes can be made in advance and stored at room temperature, covered for a day or two. 2. 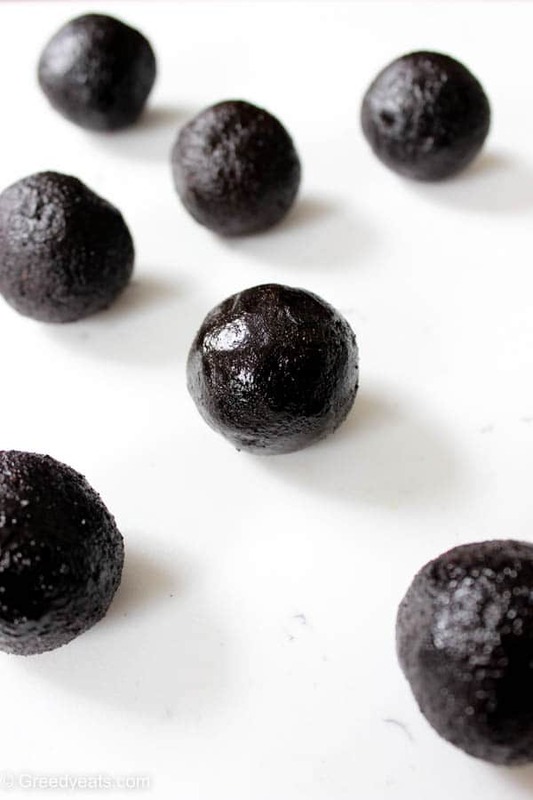 Cake balls (undipped) can be stored in the fridge for a day or two in the refrigerator and upto 4 weeks in the freezer. Thaw in the refrigerator before coating. Want to stick them to a lollipop stick? Simple. Dip a lollipop stick (about 3/4 inch) in melted chocolate/coating and insert into the center of your cake ball, half way through. Now coat the cake ball in the chocolate. Shake off the excess coating by gently tapping stick, to edge of coating bowl/measuring cup. Top with sprinkles. Place upright into some place to set the coating. A thick styrofoam works great here. They are so festive, colourful and tempting! How cute are these! I bet kids would have so much fun making (and eating) them. Bright Cute and Delish! What isn’t there to love with these cake pops. Such cute and colorful and lovely festive option for Easter. Amazing. My kids to surely love it. I love how dark and chocolatey these are and plus they are so cute. All the cake possibilities, something to please everyone! These cake pops have some serious cuteness going on. Who wouldn’t love these for Easter. 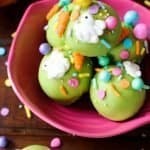 These are so adorable for an Easter treat! 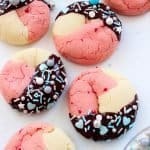 I’m going to have to make these with my kiddos! These are the cutest and most delicious cake pops ever! These cake pops are so cute, thanks for the clear instructions and all the tips, I’ll make them for Easter, pinned!